Sylvia M’Lafi Thompson has always been somewhat of a firebrand; at least in all the years I’ve known her. 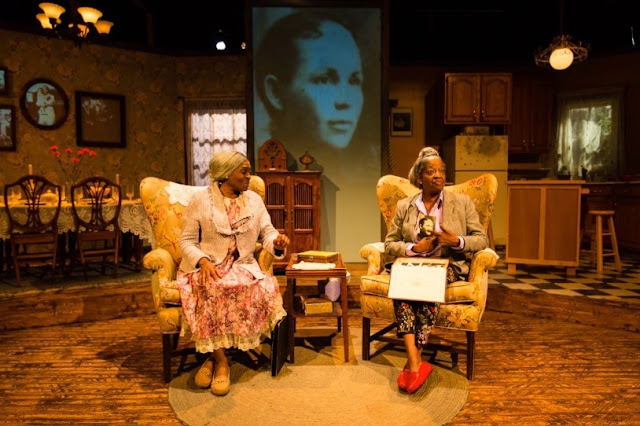 So it didn’t surprise me when I read that she was cast as one of the Delany Sisters in New Village Arts production of “Having Our Say -The Delany Sisters’ First 100 Years” by Emily Mann and adapted from the book by Sarah L. and A. Elizabeth Delany with Amy Hill Hearth. When you live to be 100+, Bessie was born in 1891; you kind of get to say whatever’s on your mind. Her sister Sadie or Sarah L. Delany, (Milena (Sellers) Phillips, with whom she shares the stage and shared her life, for that matter, was born in 1889. She is the more reticent or ‘shy’ as she likes to put it. Both women live up to their natural potential and then some under director Melissa Coleman-Reed’s excellent casting. The Delany Sisters were born just before the turn of the century in Raleigh, NC. They later moved to Harlem and finally settled in Mt. Vernon, New York where they broke the ‘color code' and were one of the first families to live in ‘an all white’ (most likely restricted) neighborhood. It is here in their Mt. Vernon cozy home (kitchen, living room with two winged back chairs, and fully furnished dining room all designed by Christopher Scott Murillo) that we are invited to hear their history/story as they busily prepare a seven course meal to celebrate their deceased father’s birthday. Theirs is a history rich in memories, filled with humor, a deep faith and caring ideals instilled in them by their parents. Their father was a born into slavery, but was lucky enough to have been singled out by a mentor who schooled him. He went on to college and became a teacher and ultimately a college administrator. Their mother was also college educated (just a hair smarter than was their father) as well, so it was no coincidence that their ten children had the same. Sadie, second from the eldest is the more sensible, gracious and more mannered of the two. She earned her masters degree from Columbia and became the first ‘brown’ home economics teacher in the New York public schools. 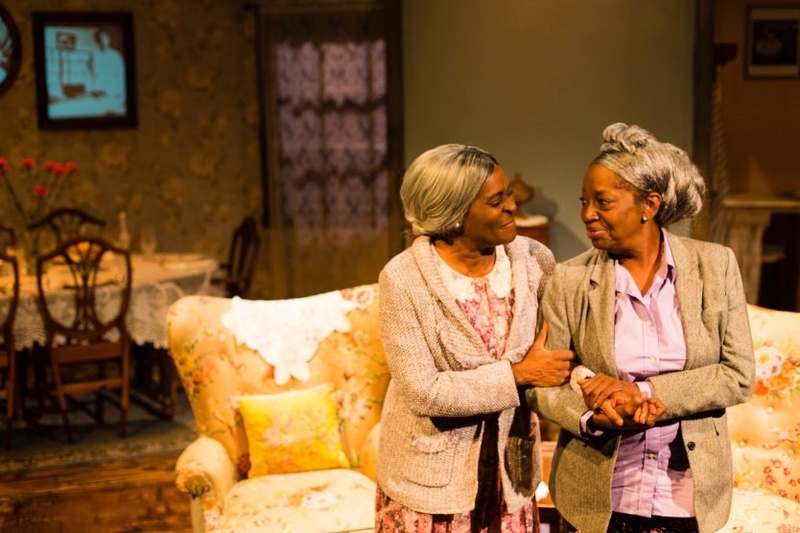 Ms. Phillips, whom we saw we saw recently in Cygnet’s last year’s productions of “Seven Guitars” and “King Hedley”, is still the ‘down to earth’ mother figure and a perfect balance to offset the tiger in her sister Bessie. While her lines are more muted and reticent, she does get respect and assistance from her little sister. The two are like a single personality they act as one and speak as one. They finish each other’s sentences and their shared memories are never in conflict, something I marvel at since it seems that my brother and I came from two different sets of parents as do my three adult daughters. Bessie, the rebel in the family and two years her sisters’ junior is still carrying a grudge ‘for those who wronged her and are long gone.’ She too graduated from Columbia with a degree in dentistry. She’s incorrigible, stubborn, carries a grudge and isn’t easily sent to the ‘back of the bus’. They have lived together all their lives. 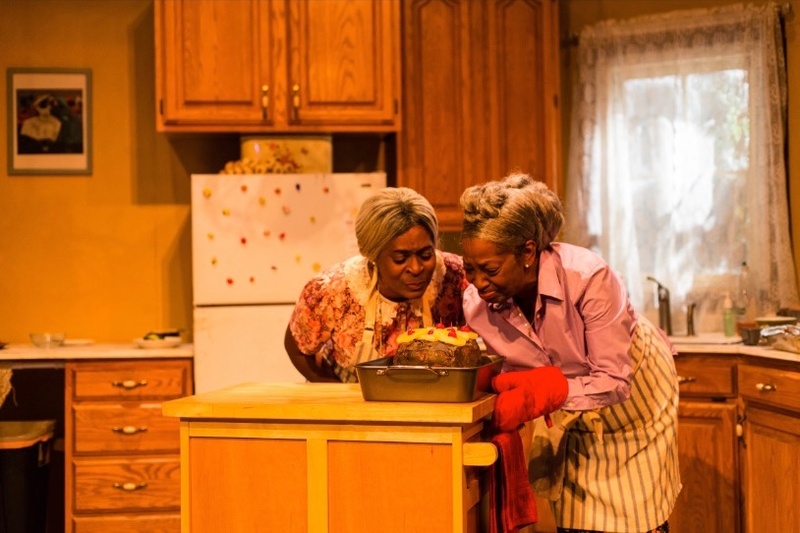 Bessie attributes their longevity to the fact that they never married. “No man could ever worry us to death”. She is also pretty vocal about politics, then and now sighting the Jim Crow Laws, carpetbaggers, Dan Quail, Paul Robson, Marian Anderson, Booker T. Washington, Eleanor Roosevelt, Martin Luther King, JR., Sarah Vaughan, W.E.B. DuBois, and Jimmy Carter. She would also like to have a law passed that once you turn 100 you needn’t pay any more taxes! Aside from directing, Ms. Coleman-Reed also designed the costumes, AJ Paulin the lighting and Melanie Chen is responsible for the wonderful projections showing actual slides of the Delany Family as the sisters chatted about their parents, siblings and ancestors. 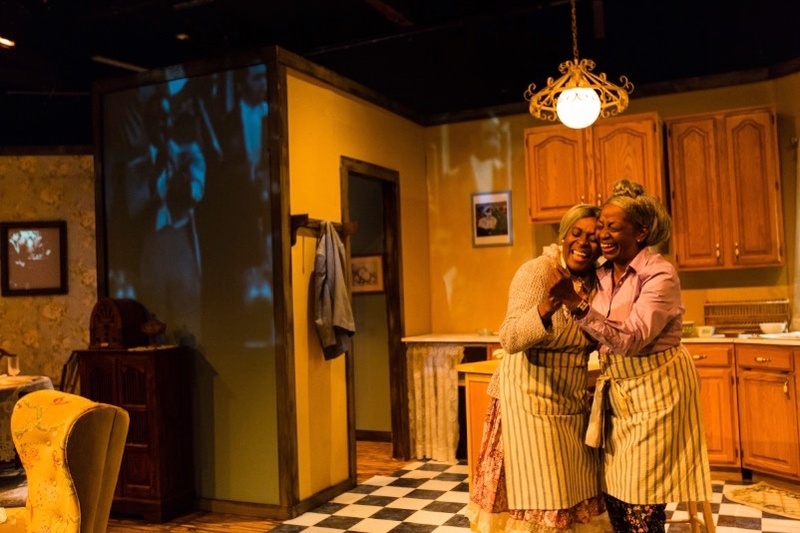 “Having Our Say”, while spanning a century and more of memories between the sisters Delany, is more of a panoramic look into the Black Experience. Against all odds two exceptional African-American women managed to survive the cultural, social and racial detours thrown at them and still love America, love their God and lived to tell about it.